Texas is entering the third year of a drought that threatens to be worse than the 1950s’ drought of record. Across the state, the reservoirs that supply our towns and support industrial and agricultural demands are at alarmingly low levels, with no relief in sight. The Texas Legislature is poised to create a fund to help finance conservation measures and new water infrastructure, an important step toward implementing the state’s water plan and ensuring that the water needs of the state’s growing population are met. The fund is the Legislature’s response to the economic impacts of the current water shortages: impacts on agriculture, recreation, and business. But the drought has exacted a toll on the natural environment, too, causing harm to native and wildlife that is difficult to quantify. The shortage of rainfall has caused disruptions in the normal food chain, affecting everything from bats and birds to squirrels, raccoons, and white-tailed deer. For the most part, impacts to wildlife take a back seat in the public’s mind to the ramifications for humans if the drought persists. But the interests of humans and wildlife often intersect and can sometimes collide, a point brought home by a federal court’s March 11 order to the Texas Commission on Environmental Quality to stop issuing water permits in the Guadalupe River in order to protect an endangered species on the Texas coast, the Whooping Crane. On its face, the lawsuit appears to be yet another clash of endangered species versus humans, a Texas version of the spotted owl debate of the 1990s, or perhaps the latest example of federal impingement on Texas’s power to regulate its own natural resources. But, not surprisingly, the truth is more complicated. The reality is that the lawsuit was a last ditch effort to ensure that the Whooping Crane and the beautiful, resilient, finely tuned coastal ecosystem on which it depends can survive over the long run, even as the state grapples with the difficulty of meeting humans’ water needs during times of drought. The remedy ordered by the judge – that the state stop issuing permits to water users until it formulates a plan to protect the bird – is a common sense approach that should lead to a balanced state water permitting program. 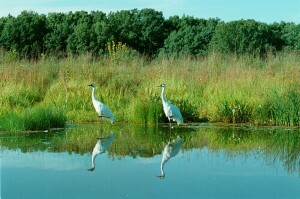 The Whooping Crane is a majestic creature, the tallest crane species in North America and the rarest crane in the world. It is also an Endangered Species Act success story. In the 1940s there were fewer than 15 individual Whooping Cranes left in the world. Today, the population is estimated to be more than 500, with the world’s only self-sustaining wild population wintering in south Texas in and around Aransas National Wildlife Refuge. The Whooping Crane feeds on wolf berries and blue crabs, both of which suffer when San Antonio Bay becomes too salty, the result of inadequate freshwater flows into the bay. In 2009, scientists from the U.S. Fish and Wildlife Service, which manages the Refuge, noticed that Whooping Cranes were dying and appeared to be malnourished. They concluded that the birds’ food sources were literally drying up and that the only way to ensure their long term survival was to get more fresh water into the bay. The Aransas Project, or “TAP,” was formed by conservationists, business owners, and landowners concerned about the Whooping Crane and determined to convince TCEQ to allow more water to flow down the Guadalupe River and reach the bay. They applied for a water permit with the intention of keeping the water they were allocated in the river, rather than pumping or diverting it, but the agency rejected the application. As a last resort, they brought suit under the federal Endangered Species Act, alleging that TCEQ was causing harm to the Whooping Crane by failing to ensure that sufficient freshwater reached the coast to maintain the crane’s food supply. In December 2011, there was an 8-day trial during which the judge heard evidence from all the parties about all aspects of the case, including the Whooping Crane’s food requirements, the number of birds that live in Texas, and the State’s water permitting program and its ability to manage flows in the Guadalupe. The State and intervenors Guadalupe-Blanco River Authority and the San Antonio River Authority argued that a state law passed in 2009 set up a process by which the state would determine what flows are necessary to protect the state’s rivers, which precluded the need for federal action. But the court found a gaping hole in the state’s position: the state program on its face does not apply to existing water permits, only to new permits. 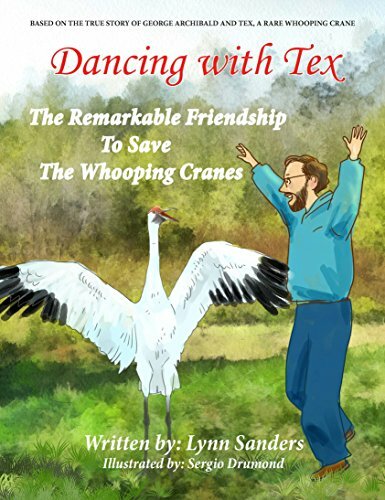 Because the vast majority of water in Texas rivers and streams has been appropriated to water users already, it would be difficult, if not impossible, to secure sufficient flows to protect the Whooping Crane by relying solely on permit conditions in future permits. The court ruled in favor of the plaintiffs in the case and ordered TCEQ to devise a plan to protect the crane. The Endangered Species Act contains a provision called an incidental take permit that authorizes otherwise lawful activities that cause harm to endangered species. To obtain a permit, a person (or state agency, as in this case) must prepare a “habitat conservation plan” to demonstrate that harm to the species will be minimized and mitigated “to the maximum extent practicable.” In this case, the U.S. Fish and Wildlife Service has pledged to work with TCEQ to develop a plan to protect the Whooping Crane and its habitat in the course of administering the state’s water permitting program. The habitat conservation plan will fill the hole in the state’s program and provide an important safety net for the crane. Rather than resisting all federal involvement, TCEQ should cooperate with the Fish and Wildlife Service and figure out a creative way to ensure the long-term survival of this glorious denizen of the Texas coast. This entry was posted on Saturday, April 13th, 2013 at 2:20 pm	and is filed under Aransas NWR Updates, Association News, Endangered Species, Flock Status, Headline. You can follow any responses to this entry through the RSS 2.0 feed. Both comments and pings are currently closed.